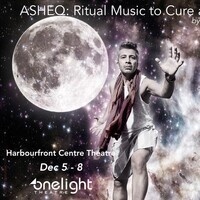 Onelight Theatre returns to Toronto's Harbourfront Centre Theatre with its new show, Asheq: Ritual Music to Cure a Lover, on stage December 5 to 8, 2018. Limited run - get your tickets today! Set in a small fishing village on the shores of Persian Gulf, Asheq: Ritual Music to Cure a Lover, is a story of forbidden love, a family divided by long-held secrets, and a community trying to find balance between traditional ways and the modern world. An engrossing, multimedia theatre production by Shahin Sayadi with original music by Habib Meftah Boushehri, Mohsen Sharifian. UFC 236 live stream results, play-by-play updates for the Jon Jones vs Anthony Smith-led pay-per-view (PPV) event, scheduled for T-Mobile Arena in Las Vegas, Nevada, on March 2, 2019.To Watch UFC 236 Live Visit this https://ufc-236.com link. The 2019 edition of the IPL will take place entirely in India, and will start on March 23, the BCCI said on Tuesday.To Watch Indian Premier League 2019 Visit this https://ipl2019s.com link.